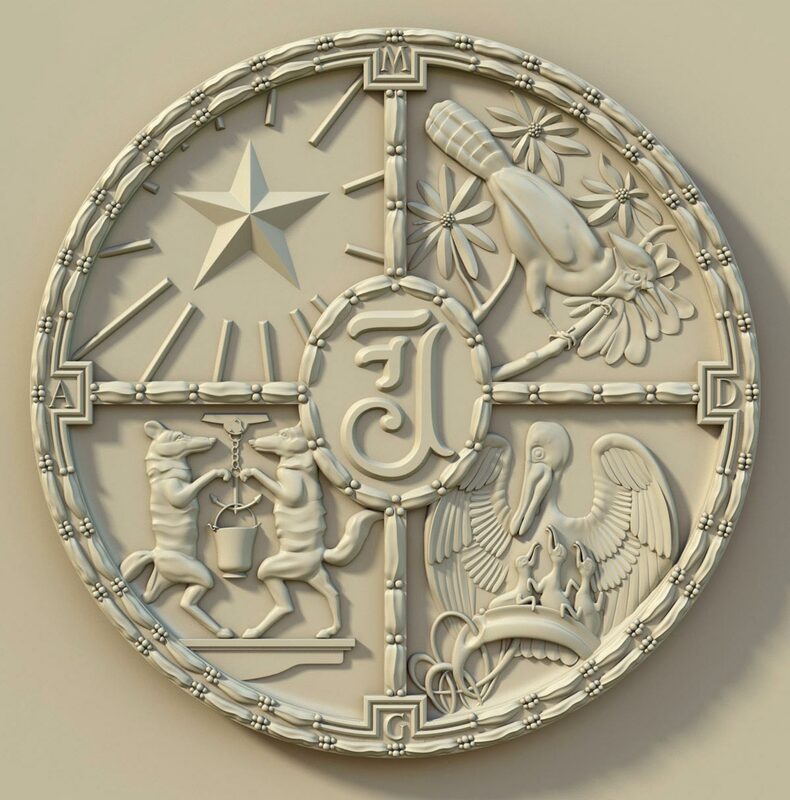 Recently I was commissioned to create a digital relief model of the Official Seal of the Jesuit High School of New Orleans. The seal was originally designed and painted by a student of the school in 1934. My digital model was created over two weeks in May of 2014. The seal will be carved by computer controlled routers and the carved piece will be installed as part of a renovation to the building.